**The Vinyl Factory facilitate reissue of Keaton Henson's acclaimed folk rock debut, 'Dear' in conjunction with the artist's own Oak Ten Records. 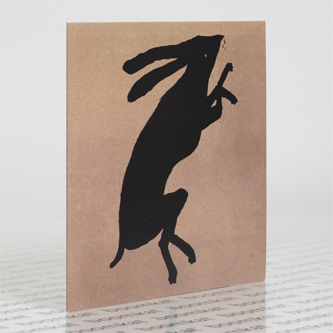 Edition of 1000** "Keaton Henson did not set out to make a debut album. He started writing songs as a personal project, never intending to release them, which goes some way to explaining why they are so intensely honest and intimate. He recorded at home, under the Heathrow flightpath, using found objects and the limited instruments he had collected at that time (late 2009/early 2010). Recording took place in the gaps between planes passing over head, based on a runway schedule printed next to his desk – at times you can hear plane noise at the beginning or end of the tracks. Under duress from a friend, he eventually made a handful of DIY music videos and sent them into the world. These received an unexpectedly fervent response, prompting him to release 120 CDs of the album, drawing and sewing the sleeves by hand and personalising each one with the name of the purchaser – i.e. “Dear.... John” – making each album a letter addressed to whoever bought it. These sold out in hours, as did a further 500 copies (these featured covers stamped by Keaton to save time). Keaton’s “puppet suicide”-themed video for ‘Charon’ won awards, and more and more people discovered his music, until Zane Lowe seized on ‘You Don’t Know How Lucky You Are’, playing it multiple times on Radio 1 and calling it "One of the most special pieces of music I've heard in a very very long time". This led to rapid demand for the album and an official album release in 2012, with Rough Trade making ‘Dear...’ their Album of the Month. This time, the sleeve featured Keaton’s drawing of a hare, chosen as the perfect example of an animal that does extraordinary things on the adrenaline created by fear. 1000 vinyl copies were made and quickly sold out. Ever since then Keaton’s fans have been continually requesting a vinyl re-release. The opportunity to do this arose after Keaton collaborated successfully with The Vinyl Factory on the vinyl release of his critically acclaimed ‘Romantic Works’. The new ‘Dear…’ vinyl edition will once again be limited to 1000 copies and accompanied by an art print by Keaton. There will be three bonus tracks, of which Keaton says “There were certain songs from the same era as ‘Dear...' that I felt in hindsight should perhaps have been included, and wondered what they would sound like with new production added.”"